After a few great days in Medellin, the boys and I headed to our second stop: Cartagena. 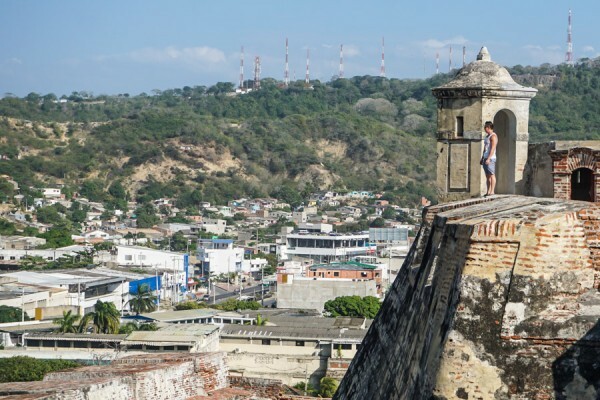 Many visitors flock to this area in Colombia because it’s centrally located to beaches and has easy access to islands in the Caribbean so expect higher prices. The moment you leave the airport you instantly feel like you’re experiencing a completely different side to Colombia where the Afro-Caribbean influence is definitely noticeable. The first thing people will do is visit old town or more widely known as the Walled City. This bright colonial part of town sits within military fort walls that are over 5 centuries old. It’ll take you about a half day to explore most of the small streets filled with boutique shops and restaurants. You can quickly explore this historic Spanish military outpost for the colony in about an hour. It’s worth it for the great viewpoints of the city alone. 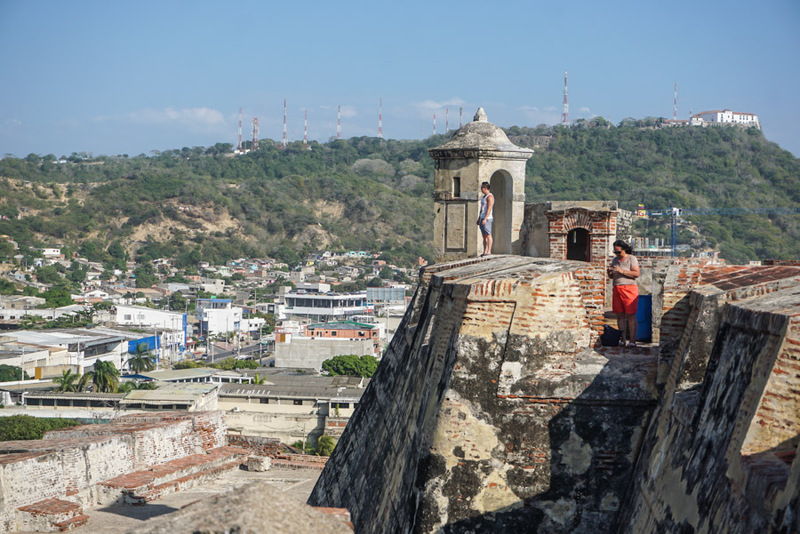 This is where many visitors go to celebrate NYE and catch fireworks overlooking the ocean on top of an open rooftop setting on a fort. However if it’s not NYE, it’s a nice place to grab a drink (don’t bother with the food), and enjoy the sunset. Of course when you’re in a coastal city, the spotlight is on seafood. This is probably the most popular restaurant in the old walled town and it didn’t hurt that Anthony Bourdain was seen here either. If you do go, try to line up early as lines will get long. Don’t expect quick service either because many restaurants like this one operate at ‘island speed’. This isn’t a restaurant, but if you want one dish that best represents Caribbean Colombian cuisine, this is it. 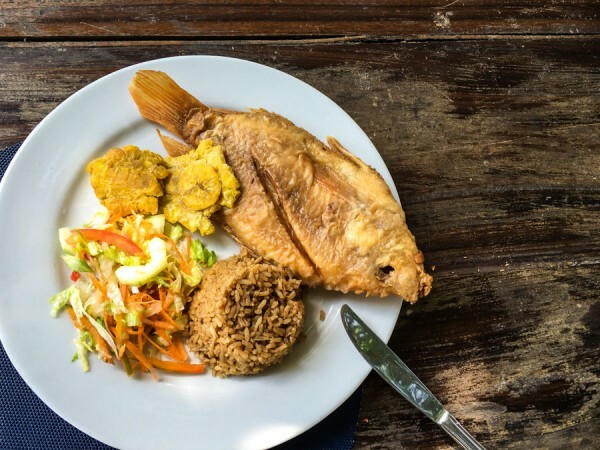 Fried local white fish typically served with coconut rice and fried plantain chips. 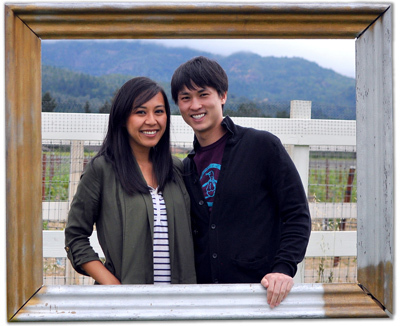 This one was from Stefano’s bistro. 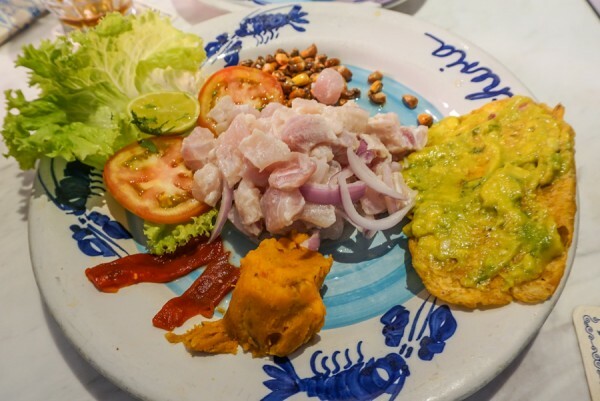 If you want some cuisine local to Cartagena, head to Plaza San Diego. 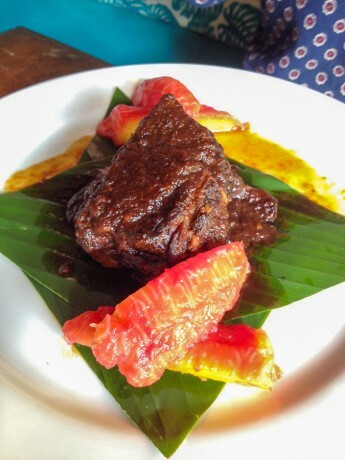 Malanga serves a great posta negra, which is a sweet braised beef dish. It gets really busy so come early or call to make a reservation. 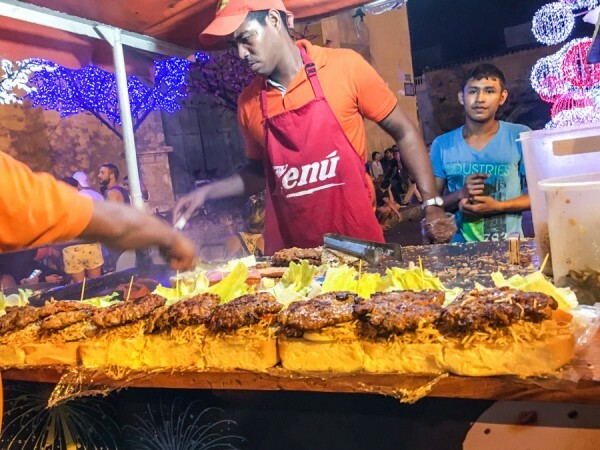 If you see street eats, you’ll most likely run into meat skewers or arepas (cheese-stuffed corn pancakes, buttered and pan-grilled). We also stumbled upon the late night street eats scene with really tall burgers, hot dogs and even plantain nachos at Plaza de la Trinidad. For more street food eats, check out this article by Food Republic. 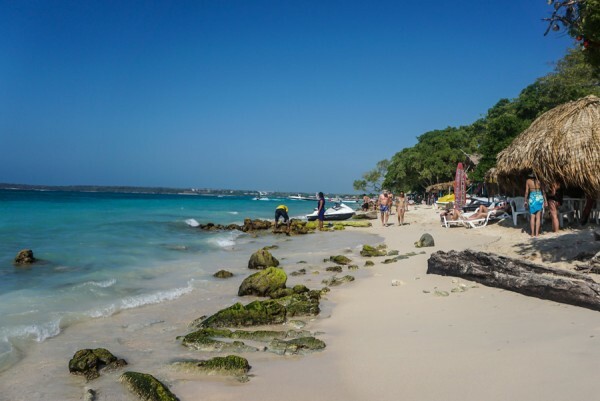 The most popular beach nearby is a 45-min cab ride to Playa Blanca. The beach itself is pretty nice, however the waters are pretty rocky and it gets extremely crowded. Mixed reviews out on this place, I’d say it’s still worth checking out to relax. If you want to get some relaxing beach time and get away from the crowds, take a day trip to the Rosario Islands. 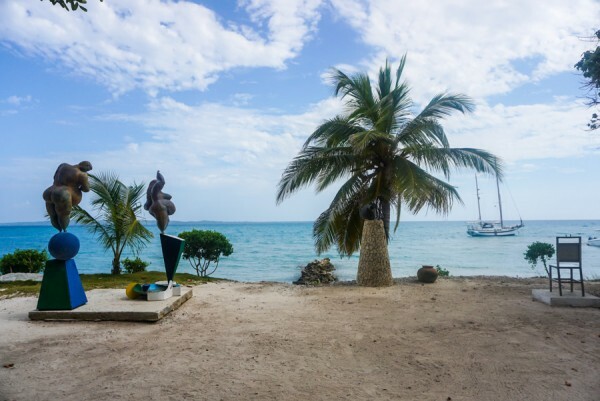 These islands are harder to get to as they are an hour boat ride away from Cartagena. Get some hammock time in, sip a piña colada and enjoy the white sands and clear waters of the Caribbean. 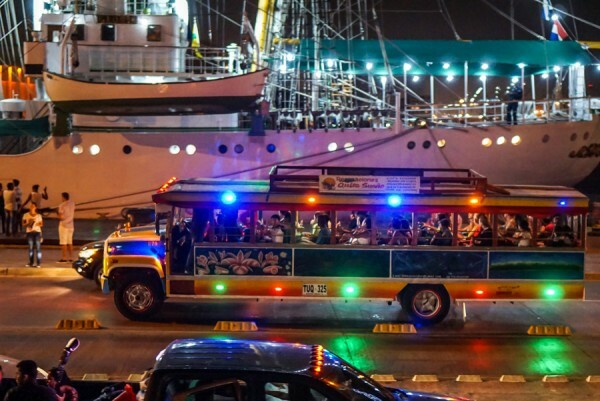 If you’re looking for cheeky/local fun, we were told this party bus is the way to go. We didn’t get around to doing this, but it comes highly recommended as a colorful loud way to cruise the city at night with drinks on the road without you having to do the driving. If you’re looking for more of a locals’ hangout at night, Plaza de la Trinidad is a great spot to check out. 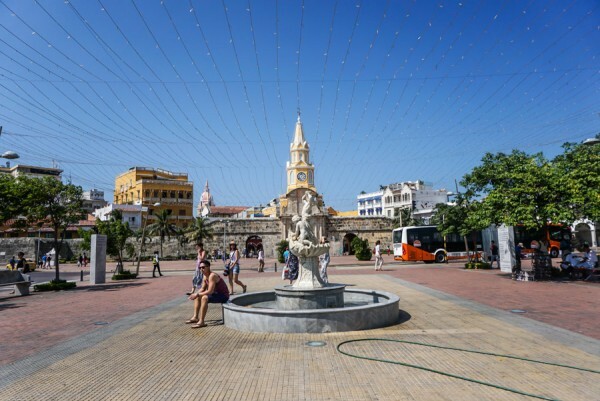 Within the square across the street, there is a small market where you can buy bottles of the Colombian liquor, which would be Aguardiente or Medellin Ron with coca-cola. Then enjoy the perks of public drinking in the plaza, which oddly enough is in front of a church. How many other places can you say you get to do that?! When you think of Colombia, beaches and Caribbean islands usually don’t come to mind. But this country really has a lot to offer and I wish I got to see more. 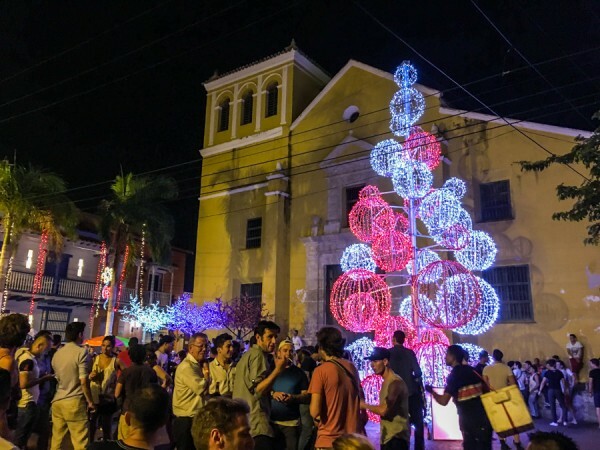 Colombia really is the gem of South America and doesn’t get the attention that it deserves. I love all the pictures in this post! I’ve been thinking about going to Southeast Asia, but I love South America and I’ve never been to Colombia. Looks amazing!